Hi guys, I'm new to Audi World but have read many of the European Delivery threads and thought I would add mine. My wife and I ordered our Q5 on Jan 13, 2013. We just received our "Welcome Package" from Audi of America on March 19th. Evidently, AoA has changed the 2 week policy on sending out the Welcome Package but we have been assured that the delivery date estimate is unchanged. So far, our local dealer, Elk Grove Audi has been great through the initial process. I hope to provide a current look at the Audi Euro Delivery program and invite your comments/suggestions! We are picking our Q5 end of May, have the package but haven't heard from them on a confirmation for the pickup date, only the requested day. did they confirm your pickup date? where are you planning to drive? Our pickup date is mid May so you are about 2 weeks after us. We received the "Welcome Package" on March 15th so you should have yours by now. The letter status that our requested delivery date will be confirmed with the Audi Forum after our vehicle finishes production. Our dealer said that the vehicle enters production today so we are anticipating a call next week to finalize the order and pay for the vehicle. That is when the date will be confirmed. We have already made reservations though; our dealer said that it is highly unlikely they will miss the delivery date or the alternate date. We will be driving to Rothenburg, Fussen, Grindelwald, Lake Como, Florence, Manarola (Cinque Terra) and Nice! Just received word yesterday that our Q5 is now a real car with a VIN! We sign paperwork on Tuesday and we leave in one month! Hello Raul Vergara, Where are you planning on visiting on your ED trip? Pickup up our new Q5 2.0T Cuvee Silver with brown leather. Didn't have to buy a iPhone cable because the Q5 can stream music from the iPhone via bluetooth! 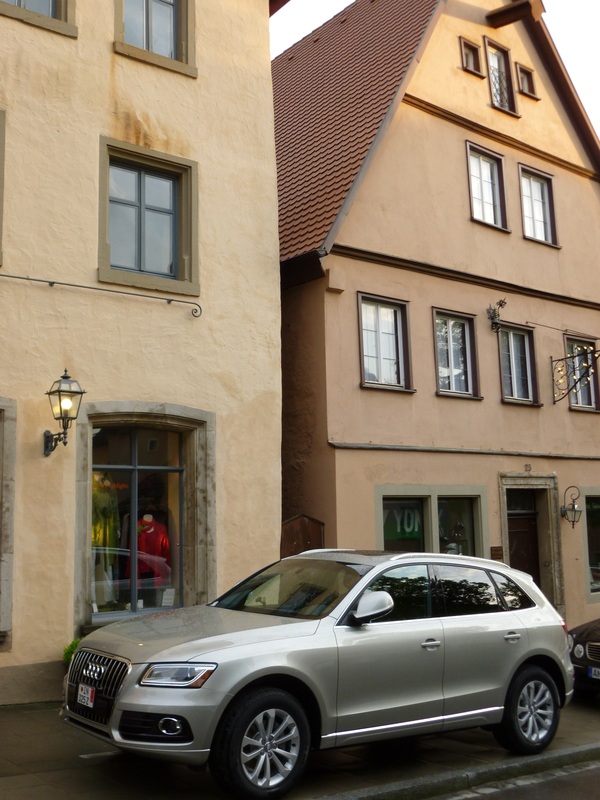 The folks at Audi were great and we're having a wonderful time driving this throughout Europe!